Integrabuild – Your One Stop Shop for Your Next Project! Based in Bowen and servicing the Whitsunday and greater Queensland region since 2007, Integrabuild have a proven reputation in delivering the highest quality building projects, with broad and varied sector experience. We base our strength on our diversity, a strong dedicated management team and a total commitment to providing our clients with the best service. We have built an experienced, well-trained and loyal workforce that understands our clients’ needs and is able to respond to their requirements efficiently. Whether you want us to inspect it, knock it down, design and plan it, build it, renovate it, extend it, use labour hire to do it, maintain it, remove it, or make it safe, we have the licenses, insurances, machinery, man power and know how to do it, from start to finish! With the capability of up to 30 or more employees at any given time, no job is too large or small. Integrabuild is consistently associated with the high standards of service, quality, personal attention to clients and integrity. These high standards are set and passed on by Integrabuild’s owners and managers Ron & Jennifer Lust. Here is a little more about the driving force behind Integrabuild’s rapidly growing business. 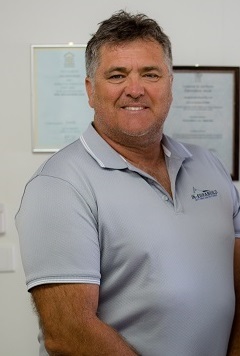 Integrabuild founder and managing director Ron Lust has built his career on principles of integrity and excellence, which have made him one of the most trusted and respected builders in the industry today. With more than 35 years of experience in construction, Ron has been instrumental in the success of an extensive range of projects across the region and has developed enduring relationships with all of his clients and associates. With a commitment to always delivering outstanding service, Ron understands that each project deserves the greatest outcome for each client and achieves this through his outstanding communication, patience and tireless work ethic. Ron’s passion for his family and the water led him to settle in Bowen where he enjoys boating and fishing, and his involvement in the community was also highlighted when he generously provided assistance to residents affected by Cyclone Debbie. As Integrabuild’s co-owner, Jennifer Lust delivers clients a unique perspective to ensure their project is a thoroughly rewarding experience. Her attention to detail and appreciation of the importance of minimal disruption to owners during the construction process has made Jen an immensely valuable and popular asset to the company. Her excellent organisational skills and sharp eye for managing a project’s fine details has been developed after years of experience in business development, including helping convert Perisher Blue Ski Resort into a multi-million-dollar operation and increasing the business of Accommodation Hamilton Island for PRD Nationwide by 300 per cent. Inspired by her many years of sailing around the British Virgin Islands, working as a cat race official, making sailing TV commercials and working for famous English solo sailor Pete Goss, Jen was inspired to launch the innovative Bagmate® and Hookit companies, which ensure handbags are clean and ‘stowed away’. 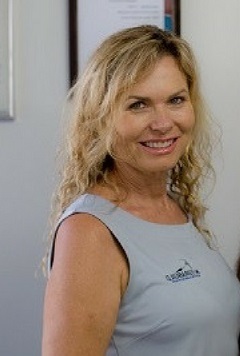 Sharing Ron’s compassionate and empathetic nature, Jen has embraced life in Bowen and enjoys spending time on the water and within the tightknit community. Our ‘Safety First’ culture promotes an injury-free environment and provides the safest workplace possible for our employees, subcontractors, clients and others who enter our construction sites. We continually provide employees with the most up-to-date safety training and guidance, because we care about everyone making it home safely at the end of day. We value our team deeply and provide the tools for them to succeed, so that we can best serve our clients.